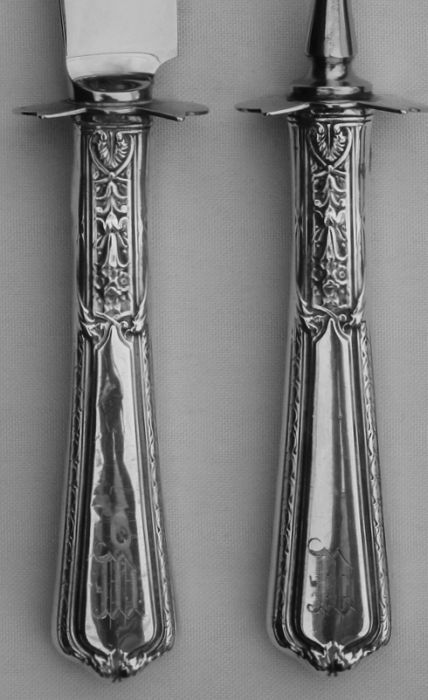 STERLING stamp on both handles under the guards. It appears that the original knife blade and fork tines were replaced sometime in the past with new stainless parts by REED & BARTON. The handles are vintage, have a few tiny nicks in them, but blade and tines appear practically unused. 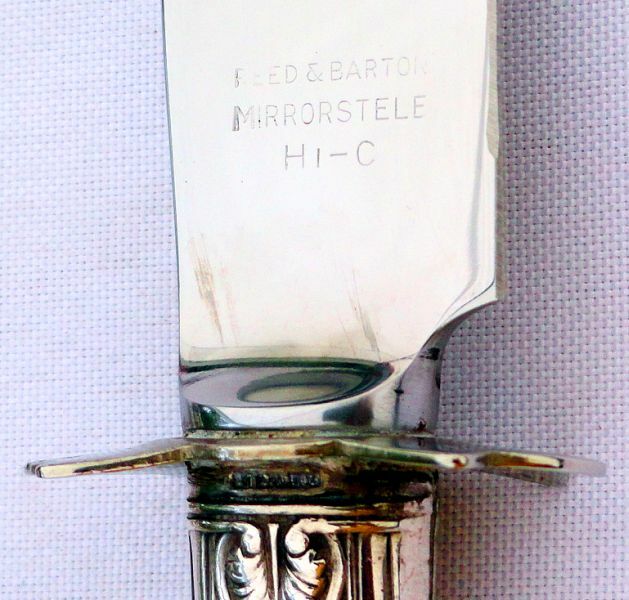 A previous owner who was fond of this engraved set may have had this replacement executed, probably at a considerably higher cost than today's price for the set. This pattern has not been identified as records of H.R. Morss' patterns are limited and it was not found in them. 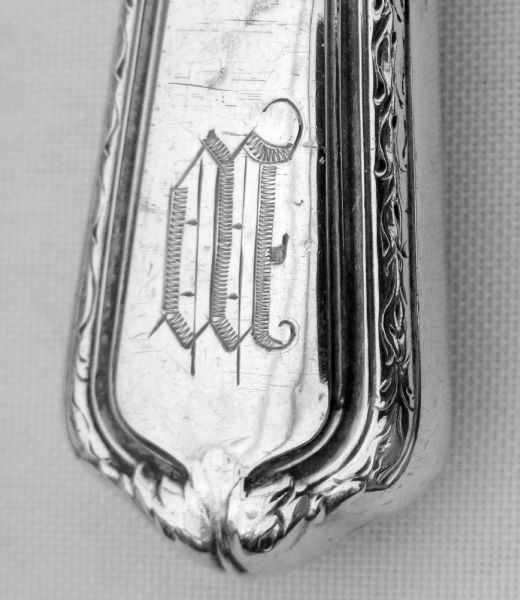 It is in the style of some classic LOUIS XVI patterns and similar to Reed & Barton's sterling pattern HERITAGE, issued in 1924. 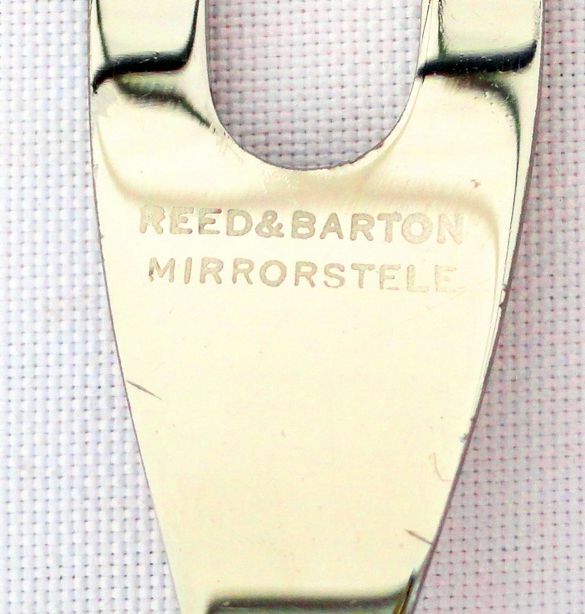 *MIRRORSTELE is a Reed & Barton registered mark for Stainless Steel on its products.